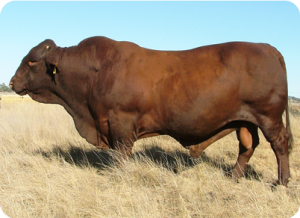 A more of a maternal type of bull with very similar breeding to Fireball, out of an outstanding cow, but is throwing darker coated cattle of a similar type and quality. His full brother sold to Boolarong Santa Stud for $10,000. He has been used in our commercial herd as a young sire, then with stud cows for the last few seasons. Please don’t hesitate to contact us at anytime to arrange an on property inspection.